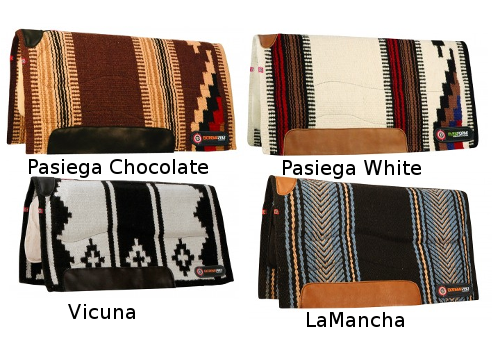 A 2.9 lb, 100% wool saddle blanket. 34" x 36". He may not be a linebacker, but he deserves to be protected like one. The technology used to protect NFL players is now available to protect your horse. 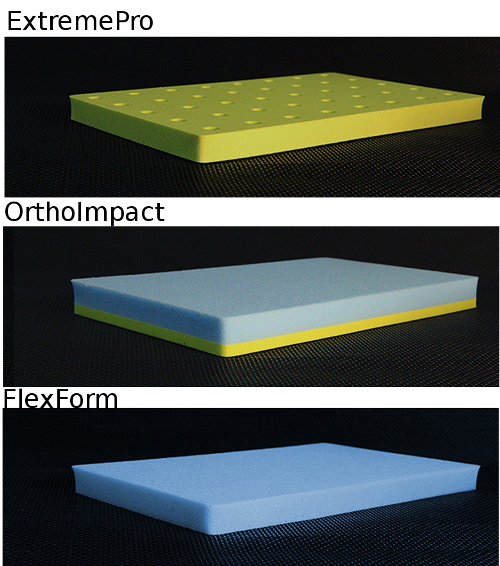 Introducing Toklat's T3 Performance Pads with Superior Impact Protection. CARE: Inserts NOT removable. Brush, hose, hang dry. What this means for your horse: A noticeably more comfortable back and rounded top line. Aids in the prevention and slows progression of common diseases such as osteoarthritis, muscle loss, and kissing spine. What this means for you: A more secure seat and less bouncing in the saddle.Less stress on back, knees, and ankles. 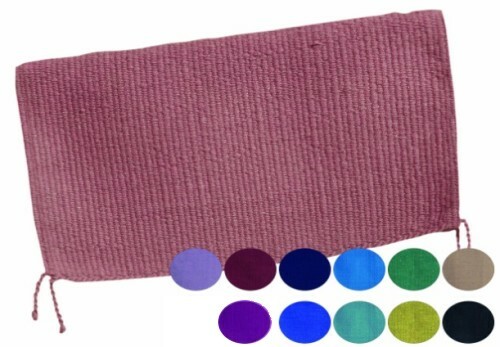 Microsuede Pads have Impact Protection built in to one of Toklats most popular pad designs to provide maximum coverage with minimal interference. Military grade ETC topper is abrasion resistant and non-slip for a secure and stable fit. Lined with Woolback fleece. 32" X 32". To clean, hose and line dry. Made in USA. Features: full length inserts for complete protection; correctly positioned cut out for close contact leg position; high profile for best wither clearance; ergonomic design for maximum freedom of movement. Wool blanket with an ergonomic WoolBack fleece lining encases the T3 Impact Protection inserts. Available in attractive patterns and colors, this pad offers the opportunity to customize style without sacrificing performance. To clean, hose and line dry. 34" X 38" blanket. Made in the USA. Features: Uniquely designed fleece liner provides high profile clearance for the withers; Correctly positioned cut out for close leg position, fleece lining provides maximum coverage for total pressure relief, ergonomic design for maximum freedom of movement.